The MDP200 is a high efficiency power supply series that provides IEC protections for Class I and Class II configurations, low no-load power consumption (<0.3 W), 12, 24 and 48 VDC standard output variants and a 12V auxiliary output, all in a 2 x 4 x 1.4” ultra-compact form factor. This offers equipment designers a ready solution that facilitates thermal management and equipment design while eliminating risks and helping speed compliance to avoid costly delays in target launch dates. The series carries a 5-year warranty. With an operating input voltage of 90V-264V and offering efficiencies of over 89.3% the MDP200 is suitable for use worldwide. This unit is also available in an enclosed variant which offers operator protection during system servicing and enhanced thermal performance. EFORE’s standard and customized medical power supplies are certified to the latest IEC60601 MOOP and MOPP safety standards for isolation/separation and low leakage current. Our products are used today for Patient Handling & Monitoring, Imaging Equipment, Sterilization Equipment and Surgical Lighting. They are available in Open Frame, U Chassis, Punched cover, with fans fitted and also a fully IP67 rated sealed version. The MCB600 is a highly configurable medical grade power supply series that provides unrivalled performance and flexibility. Delivering 600 watts from a 600 g, 5” x 3” x 1U (78 x 144 x 41mm) package, the MCB600 is one of the smallest commercially available medical grade power solutions on the market today. It consists of an input module that provides four medically isolated slots for up to four output modules of any type and in any combination. Output modules are available in four single nominal output voltages: 5, 12, 24 and 48 VDC a dual nominal 12 VDC output module and a dual nominal 24 VDC output module, each offering an extremely wide voltage adjustability range. A built-in fan and speed control circuitry assure proper forced air cooling, minimizing operational noise and enhancing the service lifetime. They are certified to IEC/EN/UL/CSA 60601-1 2nd and EN 60601-1, CSA C22.2 No.601.1, ANSI/AAMI ES60601-1, 3rd edition for medical equipment requiring 2xMoPP protection grade. The series meets the EN55022 EMC limits of Class B for conducted and radiated emissions as well as the EN 61000-3 and EN 60601-1-2 EMC standards. 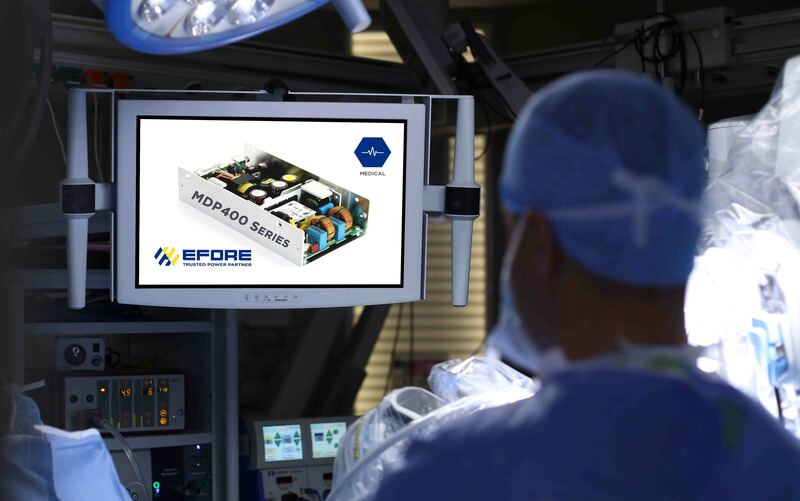 EFORE’s DDP600 series medical grade power supplies provide reliable and efficient functionality for today’s high power medical equipment needs. Conforming to the 3rd edition of the IEC 60601-1 safety standard for medical equipment, the DDP600 provides 2xMoPP means of patient protection in a compact 1U tall package. 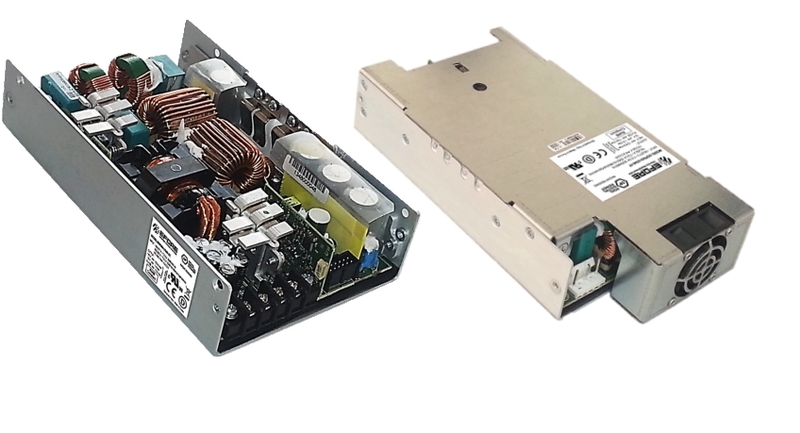 They provide a steady 600 watts of regulated DC power through the extended 85 to 305 VAC input voltage range, all in a 4.4″ x 7.3″ x 1.5″ (107 x 178 x 41mm) form factor. Capable of 800 watts of peak power for 10 seconds, the DDP600 series is very well suited for applications demanding a high start-up current, while allowing for space and cost savings. The u-chassis version is very well suited for challenging system designs where low profile and low power dissipation are desired with minimal air movement. Exceptionally high reliability is achieved with 94% efficiency for lower heat generation which facilitates better thermal management in space constrained systems. 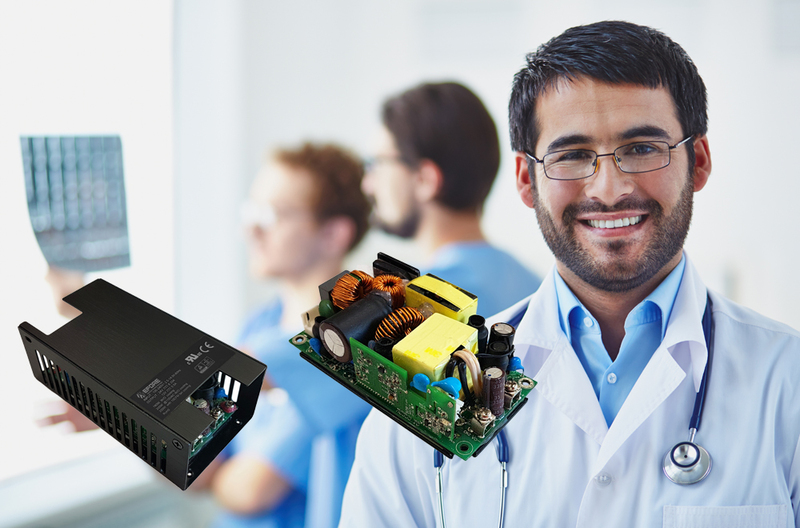 The MDP1200 is a series of medical grade power supplies available in three low profile, 1U compatible packages, each designed for specific cooling conditions that best suit space constrained and power demanding designs. Available in U Chassis, Perforated cover and with an internal front fan fitted the MDP1200 Medical Grade power supplies offer high operating efficiency, 1U compatible form factors, and are equipped with built-in Digital Signal Processing (DSP) and PMBus™ communications protocols, for enhanced monitoring and control. The series offers 2x MOPP means of patient protection and BF apparatus compatibility.